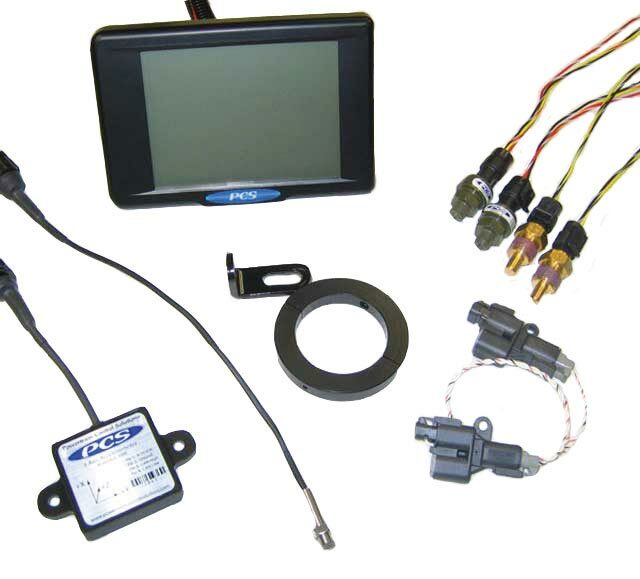 The D200 Sportsman Kit is designed for the racer who wants to log the basics and doesn't want to compromise on a solid data acquisition foundation. The D200 data logging system can expand with the racer as his needs for more data increase. Our Sportsman Kit structure is simple. The kit includes three base items and allows the customer to choose the right speed, pressure and temperature sensors to fit their needs. This D200 kit allows you to measure and datalog throttle position, battery voltage, oil pressure, fuel pressure, coolant temperature sensor, engine RPM, driveshaft speed, 3-Axis Accelerometer and Gyro.